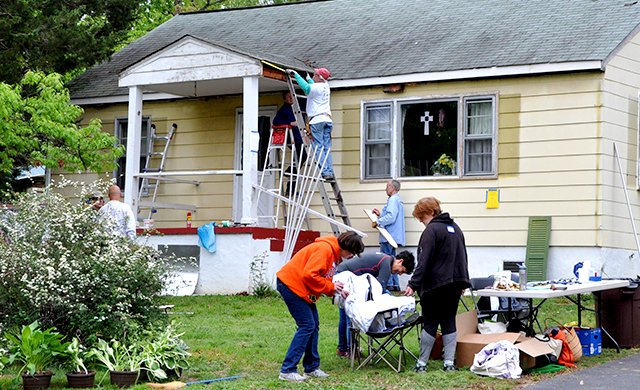 Rebuilding Together-AFF works with both individual volunteers and organized groups of volunteers. We’re flexible, so anyone can volunteer whenever they have time on both weekdays and weekends. We also accommodate special priorities, such as a company’s community service day. We schedule projects throughout the year to meet our homeowners’ needs. Individual volunteers and groups can work as often (or as infrequently) as they want. Some volunteers work on a regular basis, once or twice a week. Others volunteer once a year. We welcome everyone who supports our mission! Whether you want to work on specialized repairs or more general projects, you can really make a difference. 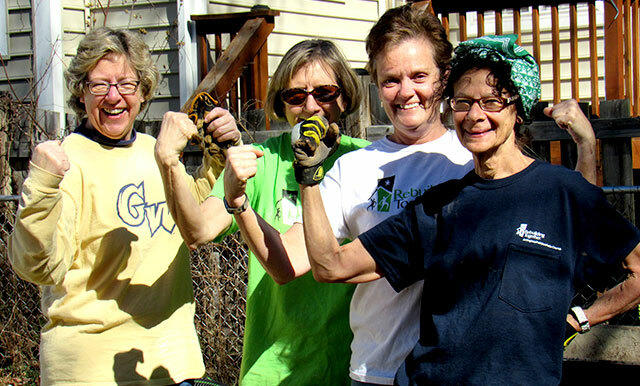 On the last Saturday in April, Rebuilding Together affiliates across the country mobilize 40,000 volunteers to repair 1,600 homes, nonprofits and community spaces. Locally, we are fortunate to partner with 30 organizations whose 800 volunteers make repairs to 30 low-income homes and nonprofit facilities on National Rebuilding Day.